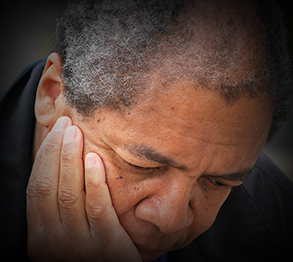 Depression is more than a passing bout of sadness or dejection, or feeling down in the dumps. It can leave you feeling continuously burdened and can sap the joy out of once-pleasurable activities. In Understanding Depression, find out how effective treatment can lighten your mood, strengthen your connections with loved ones, allow you to find satisfaction in interests and hobbies, and make you feel more like yourself again. Sadness touches all of our lives at different times, but depression can have enormous depth and staying power. It is more than a passing bout of sadness or dejection, or feeling down in the dumps. It can leave you feeling continuously burdened and can sap the joy out of once-pleasurable activities. Thankfully, effective treatment is available. One study found that in those who stuck with treatment, depression lifted completely in seven out of 10 people. Effective treatment can lighten your mood, strengthen your connections with loved ones, allow you to find satisfaction in interests and hobbies, and make you feel more like yourself again. Today’s scientific discoveries are paving the way for even better treatment. Not only are new drugs being studied and developed, but genetic discoveries and a better understanding of the biology of depression will one day make more targeted, personalized treatment possible. In the meantime, this report can help you work with your doctor to find a treatment that restores your mood and brings joy into your life. 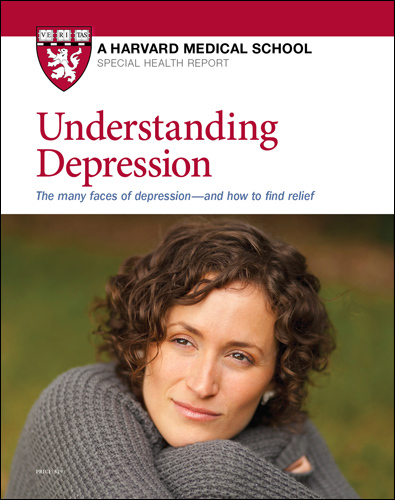 This special health report provides in-depth information on depression and bipolar disorder, including treatment options such as medication, therapy, exercise, and newer approaches like transcranial magnetic stimulation. You’ll also learn about the biology of depression and bipolar disorder, and will find a special section with practical tips for overcoming treatment hurdles and getting the best treatment. Whom should you see for treatment? Often, medications are the first choice in treatment, especially if you’re experiencing a severe depression or suicidal urges. Controlled studies have found that about 65% to 85% of people get some relief from antidepressants, compared with 25% to 40% of people taking a placebo (a pill with no biologically active ingredient). But the very same drug that works wonders for a friend may fail to ease your symptoms. You may need to try a few different medications to find the one that works best for you with as few side effects as possible. In some cases, a doctor may prescribe a combination of antidepressants or an antidepressant along with a drug to treat anxiety or distorted thinking. A drug combination may be more effective than either drug alone. Doctors often first prescribe medications from a class of drugs known as selective serotonin reuptake inhibitors (SSRIs). SSRIs include fluoxetine (Prozac), paroxetine (Paxil), and sertraline (Zoloft). Although the side effects of each drug vary slightly from person to person, you have an equal chance of success on any of these drugs. If you don’t have a good response to the first drug you try, you and your doctor may decide to switch to another. Although in a few cases people report a change for the better as quickly as one or two weeks after beginning medication, more often it takes from four to eight weeks for antidepressants to ease depression. The lag may reflect the time it takes the medications to affect processes inside the nerve cells and in brain circuits. Once you start to feel better, though, it’s important to take the medication for as long as it’s prescribed to get a full response and avoid a relapse. While you are using medications, the doctor prescribing them should regularly monitor the dosage and your response. All medical treatments have advantages and disadvantages, and a doctor cannot predict an individual’s response to a given medication. While there’s a good chance that an antidepressant will relieve your symptoms, there’s also a possibility that you’ll encounter side effects. It’s frustrating but true that side effects may appear before the benefits of a drug become obvious. If you do experience some, the first step is to report them to your doctor. Most side effects can be managed or reversed. Your doctor may be able to suggest simple, helpful adjustments. Many side effects disappear once your body becomes accustomed to the medication. Or, if necessary, you can try a different dosage or drug. If an antidepressant isn’t effective, it’s often because of an inadequate dose. If the medication doesn’t seem to be working during the first phase of your treatment, your doctor may suggest increasing the prescribed amount.